Ah, Berlin. One of my favourite cities in the world, especially during the warmer months, which is when the city truly comes alive. I’ve just completed another two month stint living there across the summer of 2018 and my previous visit was two months in the summer of 2015. For the three times that I’ve visited, I’ve stayed in and around the Friedrichshain/Kreuzberg areas – twice on the Western side, near Warshauerstraße, and once on the Eastern side, near Markthalle Neun and Görlitzer Park. As with my other Travel Notes posts, this post is about sharing some of the highlights of the city and recommendations that I make to friends when they visit the city. 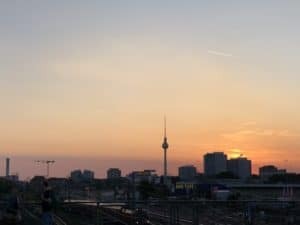 Berlin TV Tower – for under €20 (€15.50 at time of writing in August 2018, check latest prices here) it’s one of the better value observation decks in the world. Set in the heart of touristy Alexanderplatz, you can get great views of the city. East Side Gallery/Banks of the Spree – The East Side Gallery is the largest remaining intact section of the Berlin Wall, and it backs on to one of the sections of the River Spree. My favourite time to visit is in the early evening – grab a beer from one of the small convenience stores (called Spätkauf/Späti) on the way down from the Warshauerstraße S Bahn or U Bahn stations, or from the supermarket in the basement of Ostbahnhof and enjoy a leisurely stroll down the wall. If the weather is nice, there’ll be a lot of locals and tourists behind the wall on the gardens and banks of the Spree – so maybe grab a second to sit and join the crowds. 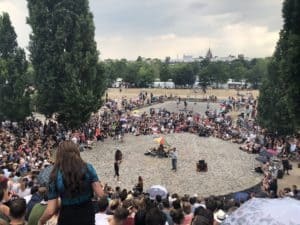 Sunday Karaoke in Mauerpark (aka Bearpit Karaoke) – Every Sunday from 3pm in the warmer months, Joe Hatchiban runs a free (donations encouraged) event where anyone can try their hand at belting out their favourite tune in the amphitheatre at Mauerpark. You can check his Facebook page to confirm that it’ll be on. The adjacent Mauerpark Flea Market is a great spot to grab some lunch beforehand. The few times that I visited in 2018, there were vendors roaming through the crowd selling beer and other drinks although most people seem to BYO. Even if you don’t want to sing, there’s plenty of entertainment between good (and bad) singers plus Joe’s quick witted comments between songs. 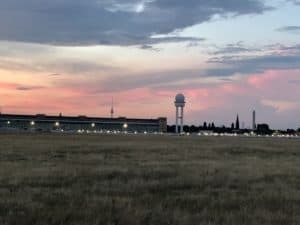 Tempelhof Airport – While it’s no longer in service, the old Berlin Tempelhof airport is now a heritage listed building with the runway areas being a public park that is popular with locals on weekend evenings in the summer months. You can also take a tour of the old airport building on selected days, which I really enjoyed back in 2015. Otherwise, grab some drinks and some friends and go check out the park area. You’ll find several dog park sections, people doing kite surfing, cycling, jogging and playing sports on the tarmac sections and even people BBQing/grilling in some of the areas as well. You’ll also find one of my favourite spots in the city, Cafe am Neuer See, which is a beer garden adjacent a lake where you can grab some food and a beer, and watch some couples try their hand at taking a small row boat out onto the adjacent lake. As with most of Berlin, there’s no restrictions on open carry so you can stroll into or around the park with a beer as well. During the World Cup matches, they set up the “Fan Mile” through the last part of the main street (Str de 17 Juni) through the Tiergarten facing the back side of Brandenburg Gate. If you happen to be in town when that’s happening, especially if Germany are playing, it’s well worth checking out. History, Walking Tours and Museums – if it’s your first time to Berlin, seek out a walking tour that takes you past a lot of the historical sights, or do your own using the Self Guided Tour steps here to see some of the important sights including the Memorial to the Murdered Jews of Europe, the Brandenburg Gate, the Reichstag building, the memorial to the book burning at Bebelplatz and Hitler’s bunker. If you’ve got more time, you could also take a tour of the Olympic Stadium which was where the 1936 Summer Olympics (which have the unofficial name of the Nazi Olympics) were held. The most iconic dish of Berlin is the Currywurst, and I’d highly recommend seeking this out while you’re in town. My favourite place for this is Curry 66, although many of the small street vendors are good as well. One sausage is good for a snack, two plus fries is closer to a full meal. If you want a Schnitzel, then go check out the Austria restaurant, over near Tempelhof. Just be warned, the large schnitzel is really large. 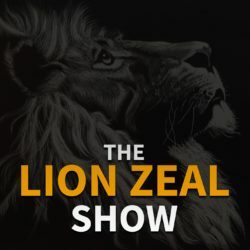 My only other recommendations are in the section above – grab a beer at Cafe Am Neuer See in the Tiergarten, and take some drinks and sit on the banks of the Spree near East Side Gallery. If you’re in Berlin for an extended period, it’s worth getting a monthly pass for the public transport. If you’re a bit flexible with your time, then the 10am Card (also called the 10 Hour Card) offers decent savings over the regular monthly card and can be used after 10am on weekdays and all weekend. There’s also a “short journey” ticket if you’re only going up to three stops on the S/U Bahn trains or 6 stops on a train or tram. 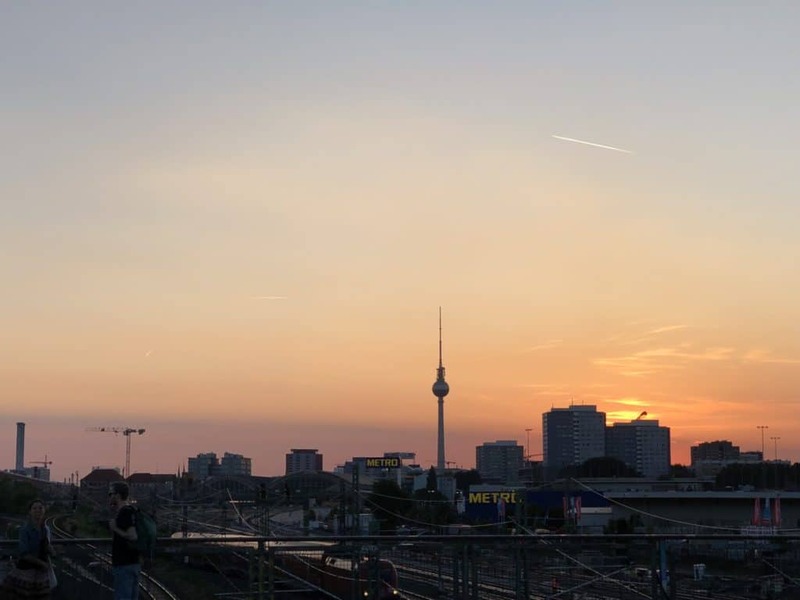 If you’re arriving at Berlin Schönefeld Airport (SXF), you can catch a train directly into the city – or if you’re landing at Tegel (TXL) then there’s a bus that connects the airport with Alexanderplatz.